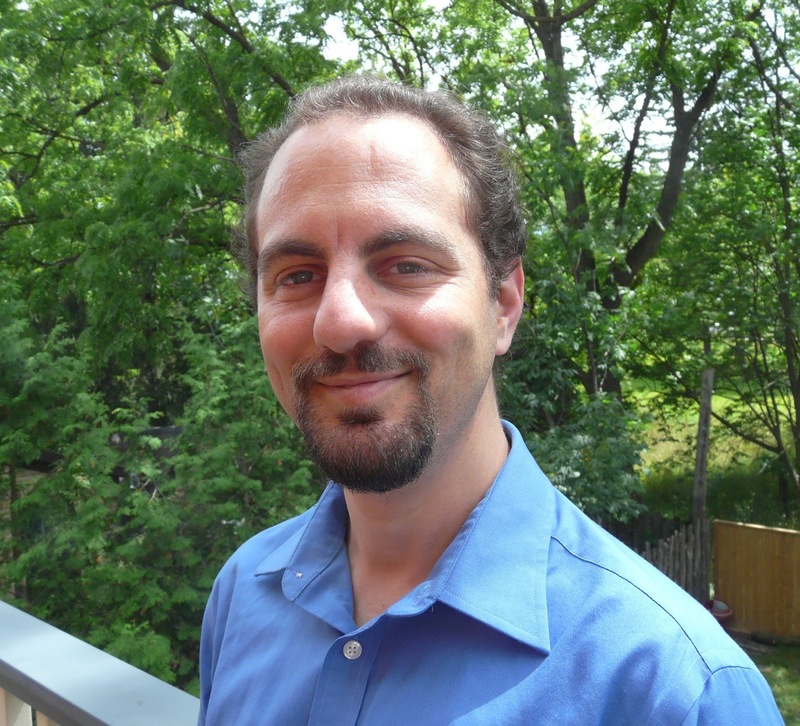 Noam Miller is an assistant professor of psychology at Wilfrid Laurier University in Waterloo, Ontario, Canada where he runs the collective cognition lab. Noam has a B.Sc. in Biology from Tel-Aviv University and – for some reason – also a degree in music (I suspect that reason is because he is a pretty good musician) . He did his PhD in Psychology at the University of Toronto, working with Sara Shettleworth on geometry learning and with Robert Gerlai on schooling in zebrafish. For those of you scoring at home, I did my PhD with Sara and Robbie helped me load the moving truck when I left Sara's lab to move to UWO to do a postdoc. It is interesting how I can pretty much spin anything into something about me isn't it? He then did a post-doc with Iain Couzin in the Ecology and Evolutionary Biology Department at Princeton University. He is interested in how being in a group shapes cognition, especially learning, and in zebrafish cognition generally. Noam and I talked about a lot of different things, including the mathematical model of spatial reorientation that he published along with Sara, his recent theoretical paper about collective learning and a pretty cool empirical one on the same topic. In all of this work you can definitely see the influence of the Rescorla Wagner model. Thanks again to Red Arms for letting me mash up their music in the closing theme. Buy their music now. Get episodes emailed to you.